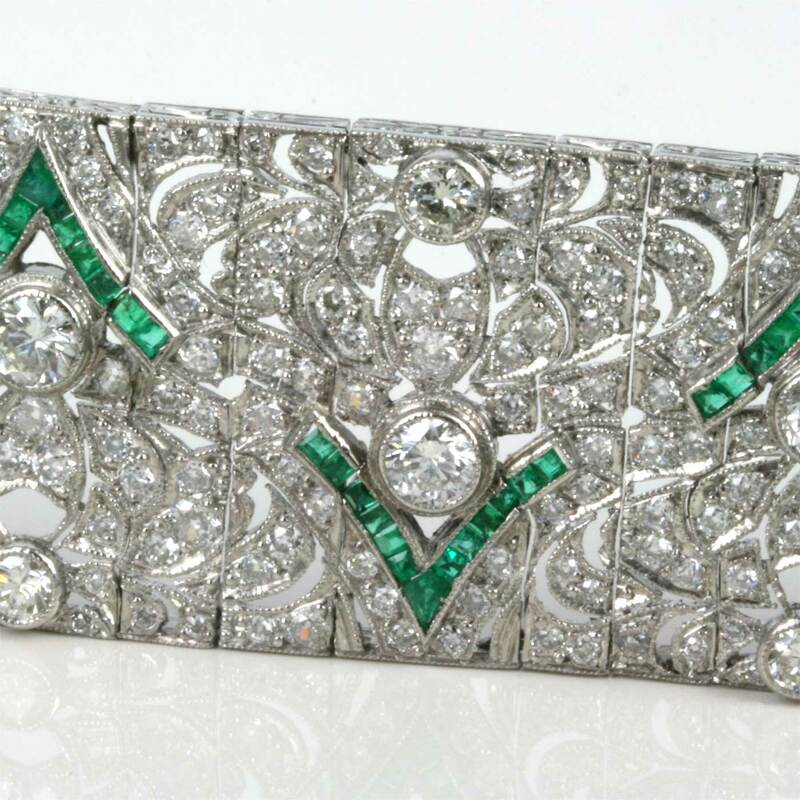 Art Deco emerald & diamond bracelet. Product code: 1462 Categories: Sold Items, Sold Jewellery. The Art Deco period of the 1920’s produced some fascinating and exciting jewellery, and this Art Deco era bracelet is no exception. Made all in platinum, the bracelet is set with 511 diamonds that total a very impressive 20.77 carats. With 130 natural emeralds to emphasize the geometric design so typical of the Art Deco era, this is a bracelet with so much style and design that is really captivating. With the bracelet being articulated to sit so perfectly on the wrist, and the platinum looking so pure and white, this Art Deco diamond and emerald bracelet really is sensational, and one of the finest around.